Considering that we are in waters that do not have much ocean life, we have seen a fair amount of large marine organisms. We were visited for over an hour by a curious whale who surfaced numerous times and swam under the ship from the starboard side to the port side over and over again. The crystal clear ocean water made it easy to track it even while below the surface. 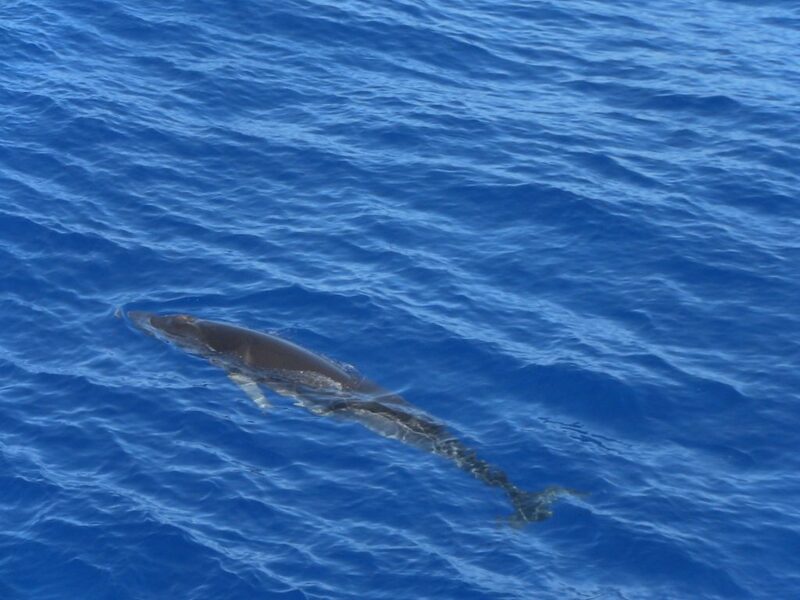 It appeared to be a Minke whale. Cores filled with sediments are being brought up on a regular basis. The sediments at this location are much thinner than the previous hole, which is to be expected since we are traveling toward the ridge area. Britta Gribsholt and Wiebke Ziebis continue to take oxygen readings in the sediments, while working in the cold room. Quite a contrast to the nice warm temperatures out on the deck.